“Not too long ago, the press room in our courthouse had, on any given day, 12 to 16 reporters filing stories every day. Today that number is two,” says Commissioner Val Arkoosh of the Montgomery County Courthouse in Norristown. 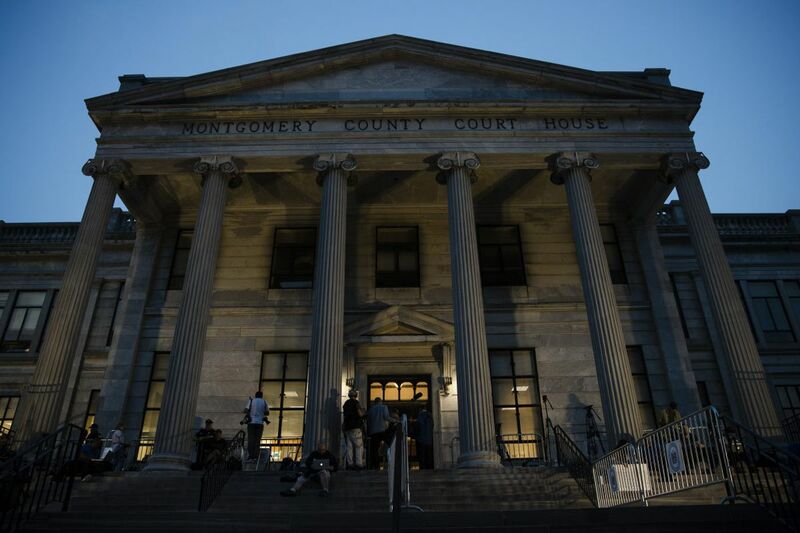 Through four decades, Montgomery County has seen a lot of changes. The county has grown in size and seen elected officials come and go. Through it all, one thing remained constant: the ever-present scrutiny of veteran reporter Margaret "Peg" Gibbons. Peg was often a thorn in our side — asking tough questions and holding us accountable when we made a choice that impacted residents — and she wrote insightful pieces about many of the important issues facing the county. She knew more about Montgomery County than most of us will ever be able to learn, and even when we didn't like what she said, we had to admit that she was fair. Recently, Peg left her position as her newspaper's Montgomery County bureau chief – yet another casualty of the hollowing out of local journalism here and around the country. Her presence in the courthouse, at our commissioners' meetings, and in the pages of the Doylestown Intelligencer will be greatly missed. As much as we respect the work Peg has done, I'm writing just as much about our concern for the state of local journalism — the watchdog of our townships, boroughs, school boards, and counties. Over the last several decades the erosion of local media, particularly the print media, has been steady and concerning. Over the last 10 years, the erosion has turned to mudslides. Layoff after layoff. Buyout after buyout. Newspaper owners dedicated to an honest, hard-working, and adversarial press have time and again sold to conglomerates or hedge fund entities that are more interested in counting beans than Pulitzers. Take Peg's newspaper. At one time, the Intelligencer had four school/municipal reporters in each of its offices — Doylestown, Horsham, and Quakertown — plus a statehouse reporter, two county reporters, a political reporter, a columnist, a business writer and an editorial page writer. That's 19 writers, with the Bucks County courthouse, political, and state reporter shared with the Bucks County Courier Times. Still, that's 16 writers dedicated to the Intel. Now I am told that number is two. Of course, it is not just the Intel. Not too long ago, the press room in our courthouse had, on any given day, 12 to 16 reporters filing stories every day. Today that number is two. Most municipal meetings go uncovered. Many school board meetings, where decisions on tens of millions of taxpayer dollars are made, are uncovered. At many of our county meetings, Peg was the only reporter covering us. Now, she is gone. I would like to think most public officials are honest, but history proves otherwise. Who will keep an eye on the caretakers of our tax dollars? Who will ask the tough questions? An informed electorate is the best safeguard for our democracy, but who will inform us? If an ethics tree falls in the government forest, and no one is there to hear it, does it make a sound? I will miss Peg, but I already miss what she stood for even more.